Taking a page from Phoebe's book, we both have been looking to find new ways to style our black Nike Free Runs 5.0 outside of working out. We have been relieved to take a break from our senselessly stiff (albeit pretty) shoes. With our minimalistic closets and style, the Free Runs have fit in seamlessly with the rest of our neutral and basic clothes. It's a wonder how we've gone on this long without wearing them outside of the gym. Whether we are wearing them with joggers and pullovers or with jeans and a t-shirt, we've been enjoying walking the town with these comfortable sneakers. We've pulled inspiration from Pinterest and cannot wait to continue styling them. I am not a huge fan of pairing sneakers with dressy attire but I have learned to open myself up more to it. I have slowly been persuaded by the creativity of bloggers such as yourself. I really like your Nike trainers. 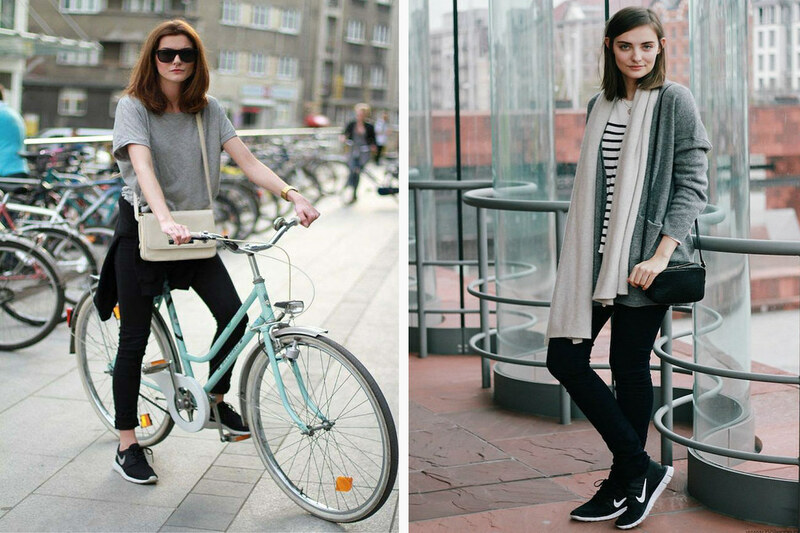 They are quite chic and certainly support the modern fashion descriptor sporty chic. I love reading and learning about style icons. Phoebe Phillo certainly is just that. I've got a pair of black nike free runs on my wish list right now and this post only makes me want them even more. I love that it can turn more dressy attire into something casual and more day to day. I love Nike Frees! They're super comfortable but too bad I messed mine up from working out and hikes so it won't look so clean when I try to wear it with a "fashionable" outfit. Now I feel like I need a new pair! 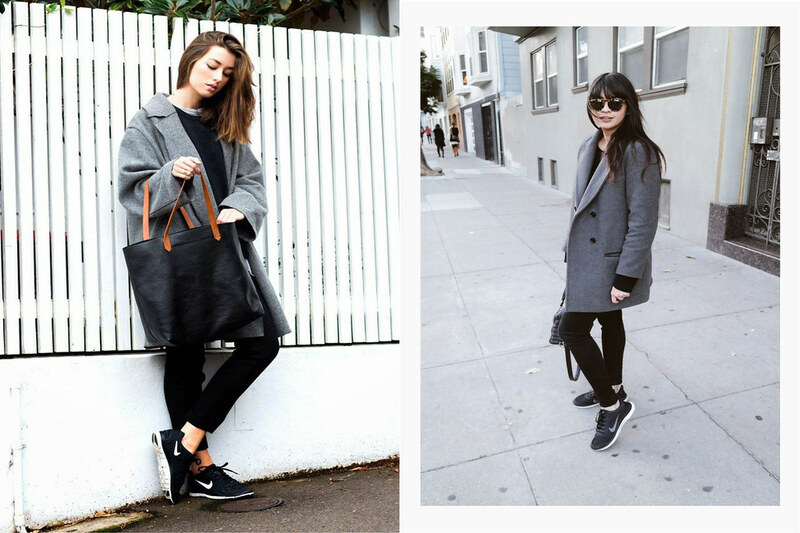 So loving all the inspo for styling these adorable sneakers. We're always looking for new ways to rock our favorite comfy shoes! I love these Nikes. If I'd get any, it would be these. The colourful ones are nice to look at but I'd get tired of them too soon. This is such a well written post and a total pleasure to read through! I actually know in advance that one of my Christmas gifts is the pair of black and white Nike trainers as shown at the end of this post, and these photos serve as a source of excitement (even more!) in anticipation of receiving them!! :) Have a lovely week ahead..